You want to start a business with your spouse...or your best friend from college...or your brother-in-law. Great idea! Having people you like and trust with you in your business can make a great success. Then there are the horror stories. The father and son who end up not speaking for years. The daughter who leaves in a huff and joins a rival business. The parents who can't help criticizing their children. The assumptions are the most difficult part. Sit down and talk about who is going to do what job in the business. Maybe you like doing marketing and your friend or spouse wants to do the accounting. Talk about what happens when one of you has to stay home with a sick child, or if your friend wants to take a vacation. Cover as many concerns as possible. Make a list of all types of contingencies. Decide who owns what percentage of the business. You may decide to split the ownership 50/50, but there may be reasons for not doing this. Maybe one of you is going to be full-time and the other only part-time. A different ownership split can show those differences. Create a written agreement, describing who does what, how much of the business each person owns and listing what happens if someone wants to leave the business or if there are problems. Both employment agreements and business ownership agreements should be created and agreed to. Learn about the various forms of business organization that might suit your circumstances. You might want to form a Partnership or an LLC. Or you may want to create a corporation. Here again, make sure you have put together the agreements you need: a partnership agreement for a partnership, an operating agreement for an LLC, and by-laws and a board of directors for a corporation. Take your agreement to your attorney for the final version of your agreement. The type of agreement is similar for all types of businesses (except for a sole proprietorship). Don't try to write up the agreement yourself. If a family member or friend wants to invest in your business, you will definitely need an agreement or something prepared by an attorney that protects both of you. You may not be able to save the relationship if the business starts going downhill and the person loses money, but you may be able to at least remain on a talking basis. Having people in your business who are not part of the family or a friend helps diffuse some of the tensions and interactions. Get financial and ​legal advisors involved as board members or on your advisory team to help you sort out issues without the relationship issues getting the way. Find people with tough skins, and let them know what they are getting into. 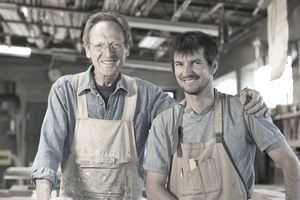 Finally, Remember "Business is Business"
Parents may want to treat their "favorite child" differently from the other children, but that doesn't work in a business. Keep your personal interactions away from the business, keep everything business-like, and your family relationships and friendships will come out of the situation intact.